“Salad-eater” tends to be the stereotype by which vegetarians are defined. And in general, it’s probably a fair guess to say that most people’s idea of “salad” in this instance is some lettuce in a bowl with a few tomatoes, maybe a cucumber, and some dressing. While we would venture to guess that most vegetarians and vegans enjoy salads, of course that is not ALL we eat, and the “lettuce in a bowl” connotation is definitely wrong! 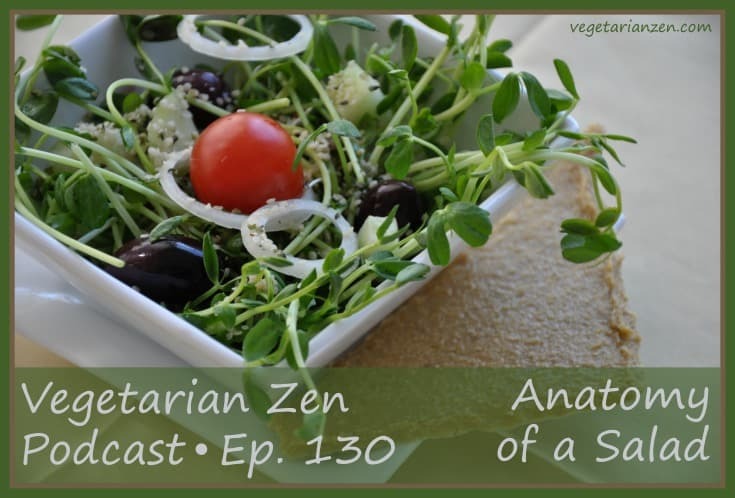 In this episode of the Vegetarian Zen podcast we explore the depth and vibrancy of excellent salads.